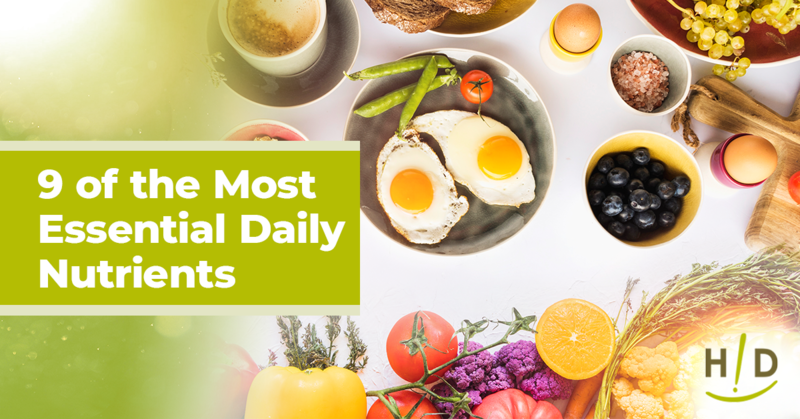 All nutrients are important but adding the most essential daily nutrients to your meal plan reduces disease risks, maximizes energy, and helps you look and feel your best. When following a nutritious plant-based diet, such as the Hallelujah Diet, use dietary supplements to meet daily essential nutrient requirements. Protein is abundant in animal foods like meats, poultry, seafood, eggs, and dairy foods. In fact, it is easy to get dangerous amounts of protein eating these foods. You just want adequate amounts of protein. And you can meet your body’s daily protein requirement from plant foods. In fact, doing so can lower your risk of cancer and help you maintain a healthy weight. Women need at least 46 grams of protein, while men require a minimum of 56 grams of protein each day (this is the recommended dietary allowance). This is actually closer to the upper requirement, as there is a safety factor built in to this amount. Most people can get by with even less protein than this amount. Nevertheless, eating additional protein may help you maintain lean muscle and boost satiety. 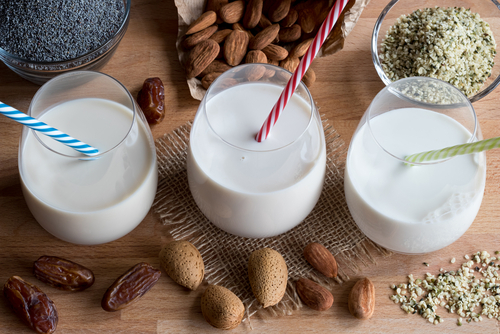 Protein-rich foods included in the Hallelujah Diet are nuts, seeds, legumes, plant milks, and Hallelujah Diet plant-based protein powder (containing 25 grams per scoop). The reason fiber is an important essential nutrient is that it enhances digestive health, promoted the growth of beneficial probiotic bacteria in your gut, keeps you full, aids in weight loss and healthy weight management, and reduces your risk of high cholesterol and heart disease. Many Americans fail to meet the daily fiber requirements of 25 to 38 grams. Because fiber is abundant in fruits, vegetables, legumes, whole grains, nuts, and seeds, the Hallelujah Diet is loaded with this daily essential nutrient. Taking additional fiber supplements can improve digestive health and weight management. Antioxidants minimize aging and protect you against numerous chronic diseases by preventing cell damage. Examples of antioxidants include vitamin E, vitamin C, vitamin A, selenium, lycopene, lutein, and beta-carotene. These essential nutrients are abundant in plant foods, especially fruits, vegetables, nuts, seeds, beans, plant oils, and antioxidant-rich Hallelujah Diet supplements. Omega-3 fatty acids enhance heart and brain health and are crucial for proper growth and development in babies and children. One type of omega-3 fatty acid called alpha-linolenic acid (ALA) is abundant in Hallelujah Diet plant foods, such as flax seeds, flaxseed oil, chia seeds, and walnuts and walnut oil. Other important omega-3 fatty acids include docosahexaenoic acid (DHA) and eicosapentaenoic acid (EPA). You can obtain these essential fats from fish, fish oil, or vegan algae oil supplements. Adults should aim for 500 milligrams of DHA plus EPA daily for preventative health, but even higher levels, up to 2,000 milligrams a day, to help reverse serious health conditions. Many adults aren’t getting the vitamin D necessary for optimal health. According to the Vitamin D Council, the majority of people in the United States fall short of meeting vitamin D requirements, even when eating foods fortified with vitamin D. Taking vitamin D supplements, drinking vitamin D-fortified plant milks, and getting sun exposure helps to optimize blood levels of 25(OH), the storage form of vitamin D, to 50-80 ng/ml to enhance calcium absorption and maximize bone health, immune health, and brain health. Iron is a daily essential nutrient your body requires to form and maintain red blood cells, and iron deficiency causes extreme tiredness. The form of iron your body best absorbs is abundant in animal foods. Some plant foods are also a good source of iron, including some nuts, legumes, and spinach. Taking mineral supplements containing iron helps ensure you meet daily iron requirements of 8 milligrams for men and 8–18 milligrams for women. Many Americans fail to meet daily iodine requirements. This essential mineral is needed for proper thyroid function, which helps regulate your metabolism. Iodine is also used by every gland of the body, from tear glands, salivary glands, breasts, prostate and skin. The recommended dietary allowance in radically insufficient for our needs.. Consider taking an iodine supplement if you’re not eating iodine-rich foods, such as seaweed, legumes, and prunes. B vitamins help your body obtain energy from foods, and include vitamins B1, B2, B3, B4, B5, B6, B7, B12, and folate. 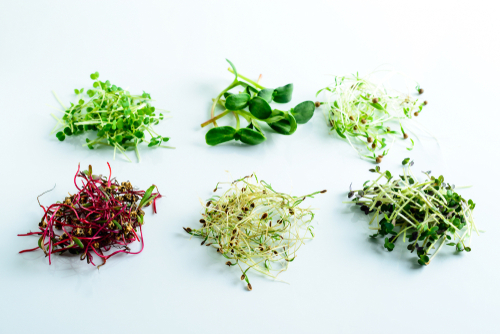 Plant foods rich in B vitamins include leafy greens, peas, beans, and some cereals. 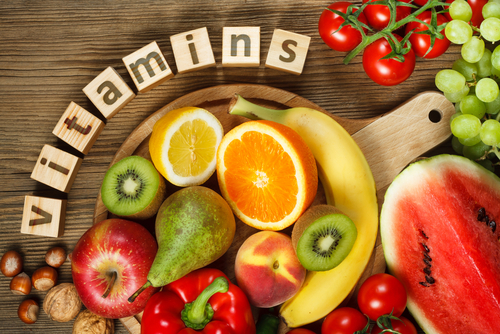 When eating a plant-based diet to optimize health and wellness, consider taking B vitamin supplements. Your body uses probiotics to enhance digestion and keep your immune system strong. Probiotics, or good bacteria, are naturally present in your gut but raw plant foods may not be a sufficient source. Fermented vegetables are very beneficial as well, but you may not be eating these daily. That’s why probiotics supplements optimize your health when following the Halleluiah diet. To help meet the above and other daily essential nutrient requirements, purchase the Hallelujah Diet get started kit today! 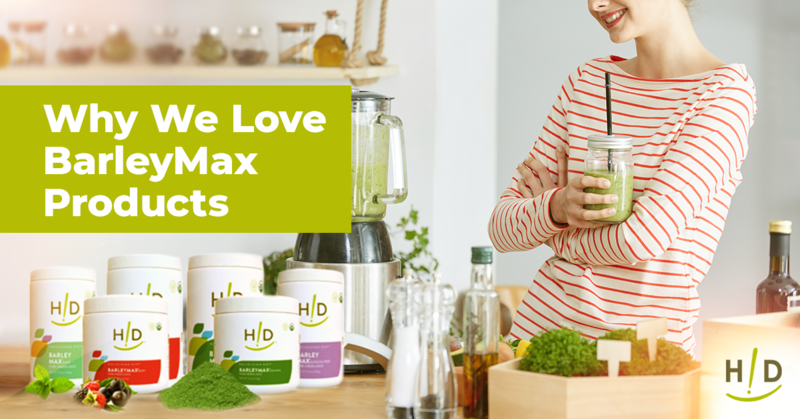 The kit contains a pure green juice powder called BarleyMax®, Fiber Cleanse supplements, weekly meal plans, a recipe book, Hallelujah Diet getting started DVDs, and much more. Eating clean and improving your health has never been easier! You have good information about nutrition, however, I get the feeling you are just trying to promote all of your products. There is no way I could afford to take your products on a monthly basis. It is very discouraging. Foundational to optimal health is a great diet…and food is very expensive to start with. Supplements cannot take the place of diet. Supplements are just additional nourishment, and there are a lot of goods ones from which to choose. I only take a few supplements and have had to cut out some things because we all have to choose the best use of money. My favorite and #1 needed is Magnesium Complex. I am happy that it is $19.95 and last over 2 months. Gina….If you can, get a juicer and do carrot juice as often as possible…it’s really powerful stuff. I try to take advantage of sales and stock up on BarleyMax, which I think is of secondary importance, and even better if you can add a bit of BeetMax, as well (which also helps the BarleyMax dissolve better). Then, cut out as much of the animal products that you can…and get as much exercise as possible. If you can do just that much, it’ll reap rewards, health-wise! My last job of doing medical transcription for 13 years (prior to retirement) ruined my finances, so I know exactly what you are dealing with, money-wise. Hang in there! 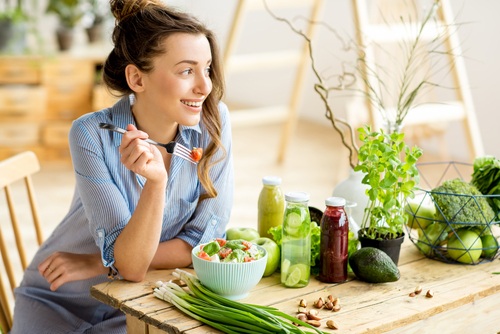 Try not to get discouraged, just start with the food end of it, then at your next doctors appointment have your vitamin levels checked and see what extra help you may need, like a vitamin b or d. Choosing the right foods goes a long way towards better health. Good advice. During the winter months, especially for the vitamin D. B12 is definitely advised to be taken by vegans. Thank you for the information. This is very important to know and be mindful of when eating and choosing our supplements. Great information to follow each and every day to maintain our health and help us feel better and get the most out of our day!